Reading to kids is not the way most 16-year-olds would spend their morning, but Ryan Traynor is not most kids. The California teenager was just 11-years-old when he started volunteering through his local library, going into schools and reading to children, to earn a Boy Scouts of America merit badge. The teen quickly found out how one book could speak volumes to kids in need. The area where Ryan lives in Northern California is a place where not all children have access to books, according to one local official. “Most of the kids in our community don’t have access to books on a regular basis, ” said Heather Landeros, program director for Redwood City’s Police Activities League. Even though Ryan was just a kid himself, he decided he could make a difference for other kids by organizing a book drive. 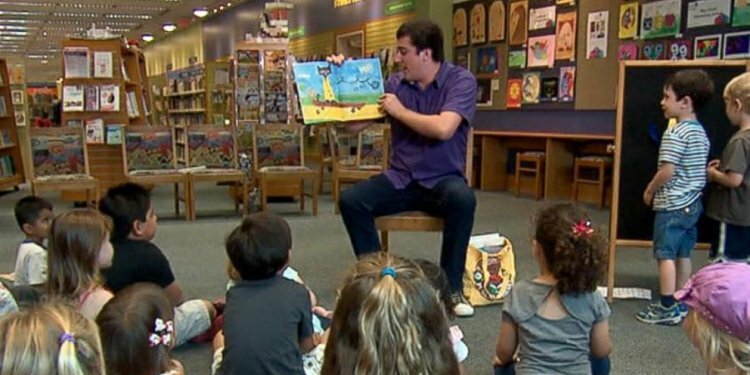 “What sets Ryan apart, not only did he read to the children, he saw a need in the community, which was books in the homes, and he did something about it, ” said Jan Pedden of the Redwood City Public Library. Week after week, the boxes of books kept piling up, overtaking the backyard of Ryan’s family’s home. After six months, Ryan had collected 25, 000 books. Ryan, who described the total number as “super exciting, ” sent the donated books to 12 charities, eight schools and seven literacy programs. In return, he received pages and pages of handwritten thank you notes from a whole new generation of readers. “He brought them to schools, to shelters…anybody who needed a book, ” she said. Once the first book drive was over, Ryan did not stop, but brought others onboard. “Now we have nine different teens from seven different schools who work together to help improve literacy rates in the community, ” he said. In addition to collecting and distributing books, Ryan has also started new programs teaching math and science and financial literacy. “When people hear my story, I want them to think about how everybody really wants to help and it really only takes one person, ” Ryan said. The teen’s parents say they have watched their son learn the benefits of volunteerism early on. “He's figured out, as most people who are a volunteer figure out, that basically you get out more than you actually put in as a volunteer, ” said his dad.